FOSS – I am a proponent of FOSS (Free Open Source Software). For one thing, FOSS has a great price – FREE. For another, it is software that is, for the most part, developed by the users. I had come across MacDown a few weeks ago and have been trying it out. Markdown is a plain text formatting syntax created by John Gruber, aiming to provide an easy-to-read and feasible markup. The original Markdown syntax specification can be found here. MacDown is created as a simple-to-use editor for Markdown documents. It renders your Markdown contents in real-time into HTML, and displays them in a preview panel. 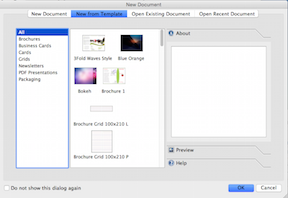 As you can see from the image above captured from the MacDown Help file, MacDown presents the user with two panes in the document window. The left pane is where the user enters text while the right pane displays the formatted document. Syntax highlighting in fenced code blocks. Visit the MacDown Features page for more details. So why would you want to use MacDown? That is a good question. Most of the time I make notes in Apple Notes. Most of what you can do in MacDown can be done in Notes too, though once you learn Markdown, creating a formatted document is more efficient in MacDown (you can do everything from the keyboard without using your mouse and the application Menu bar). Once you have created your document, you can export it as either an HTML file or as a PDF. Since you are seeing the formatted document as it is being rendered, any errors can be immediately corrected. This is not an App I expect to use every day, but it is one I am adding to my ‘macOS Toolbox’ list. I think that I will discover more uses of MacDown the longer that I use it. I certainly recommend that you give it a try. Product Announcement – PowerSurge Publishing of Seattle, Washington has released Notenik 3.0 for macOS. Does the Mac world really need another note-taking app? Perhaps not, and yet a new one, Notenik, has recently entered this crowded field. For users seeking cutting-edge user interface design, all we can say is: best move along, this is not the app you were looking for. Similarly, for those who have been beguiled by the notion that a “note” consists of all sorts of odds and ends other than text, Notenik will not be their cup of tea. An extensible paradigm that can be used, for example, to store bookmarks and tasks, in addition to plain old notes. If some of these features sound intriguing, then it may be worth a free download to check out Notenik and give it a trial run. If you find anything missing or amiss, then the developer is happy to receive feedback. Notenik 3.0 is free, and is available at the Notenik website. Product Announcement – MacHTTP.Org of Leesburg, Virginia has released MacHTTP-js Preview for macOS, a full-featured Web server for 21st century desktops and servers. MacHTTP-js is a modern take on the classic stand-alone, desktop computer Web server plus a whole lot more, using current state-of-the-art technology while derived from the core ideas that went into the creation of the original Mac Web server, MacHTTP. MacHTTP-js eliminates the need to understand arcane command line tools or to be an expert in deploying Linux-based servers. Instead, it returns to its roots as a double-clickable application with a friendly user interface allowing anyone technical enough to operate a text editor to set up a web server or create compelling Web applications on their desktop which can be migrated to public servers. Implemented with modern technologies like node.js, Express.js, and Electron, MacHTTP-js is designed for upcoming versions to run on multiple different operating systems and computers, from Macs running macOS to Windows 10, various flavors of Linux (Ubuntu, Debian, RHEL, etc. ), and even Raspberry Pis running Raspbian or container-based systems like Docker. These other versions will be released as part of the final release of MacHTTP-js, coming soon. This software is a Free Opens Source Software (FOSS) project. The Preview version of MacHTTP-js runs on any version of macOS that is actively supported by Apple. For more information on MacHTTP-js, or to download the fully functional MacHTTP-js Preview version on macOS, free of charge, visit their web site. Product Announcement – Ascensio System SIA of Riga, Latvia, the developer of IT solutions for business, today is pleased to announce that they have opened the source code of its ONLYOFFICE Desktop Editors, presenting a free and open source alternative to Microsoft Office for Mac OS. ONLYOFFICE Desktop Editors is an office suite that combines text, spreadsheet and presentation editors, allowing anyone to create, view and edit documents offline. Being fully compatible with MS Office, the editors support all the popular document formats, including ODF. The application features all types of formatting options and allows users to edit complex documents as well as easily switch to online mode and collaborate on documents with colleagues or teammates. The collaborating features include real-time co-editing in two modes, reviewing and tracking changes, commenting, built-in chat. The editors also support connecting third-party plugins. Developers can use these plugins to add specific functions they need to the editors. ONLYOFFICE 4.1.1 is now free and available worldwide. The office suite is available under AGPL license v3. This means you’re able to download and use ONLYOFFICE Desktop Editors without any restrictions. The application can be downloaded from the official website, the source code is now available on GitHub. Scribus is a cross-platform (OS X, Linux, Windows, and BSD) desktop publishing (DTP) program that began development in 2001. 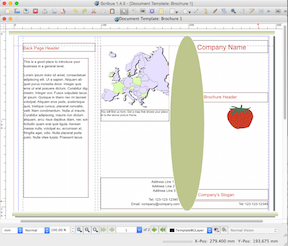 Scribus is the Open Source answer to commercial programs such as QuarkXPress and InDesign. Scribus can be used for layout, typesetting and file preparation for professional grade image setting equipment. It can also be used to create animated and interactive PDF presentations and forms. Scribus is a good tool for creating everything from small newspapers, brochures, newsletters, and posters to business cards. Scribus supports most of the common bitmap formats such as TIFF and JPEG. Vector graphics can also be imported. Text in the OpenDocument and HTML formats are easily imported. Other text formats can be imported, but loose some of their embedded style information. There are many different templates provided to get you started on the type of document you want to create. Scribus does not have the polish or power of the commercial software tools, but for most jobs it will get the work done quickly and efficiently. Since the tool is free, it is always worth downloading and trying it before you commit to an expensive commercial product. The product reviews on SourceForge rate Scribus 4.8 out of 5. Have you had the need to create a high quality drawing on your Mac? If so, Inkscape may be your answer. Inkscape is a vector graphics editor (similar to Adobe Illustrator) that can satisfy the needs of the professional or the beginner. What sets Inkscape apart is it’s use of SVG (Scalable Vector Graphics), part of the W3C (World Wide Web Consortium) standards. The software is also cross platform – available for Windows, Mac OS X and Linux. Whether you want to create a quick sketch, or a near photo quality image, you can do it in Inkscape. Vector design is often the preferred method of image creation for logos, illustrations and art which require high scalability. The Inkscape application is used across a wide variety of industries (marketing/branding, engineering/CAD, web graphics, cartooning) and individual uses. Check out some of the artwork created with Inkscape on their on-line Gallery. If you need to create scalable graphic images, Inkscape may be just what you are looking for. in depth solution is the GNU Image Manipulation Program (GIMP). The development of GIMP began in 1995 and it still has a very active development community. tool, a healing brush, a perspective clone tool, blur and sharpen tools, and dodge and burn tools. GIMP has a customizable User Interface and supports the common image file formats: JPEG, GIF, PNG and TIFF. GIMP also accepts a wide range of plugins and scripts developed by the users. 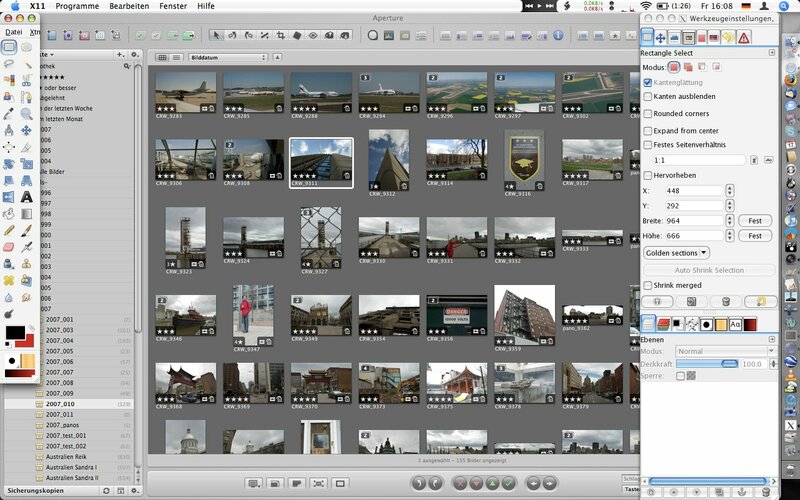 While GIMP cannot do everything Photoshop can, it can do many of the most common tasks. There is very good documentation in several languages for GIMP and nearly 50 tutorials available from the GIMP web site. If you need more than the on-line documentation provides, there have been several books published on GIMP and how to use it. Recording computer playback on any Windows Vista or later machine. Converting tapes and records into digital recordings or CDs. Editing WAV, AIFF, FLAC, MP2, MP3 or Ogg Vorbis sound files. AC3, M4A/M4R (AAC), WMA and other formats are supported using optional libraries. Ability to cut, copy, splice or mix sounds together. Ability to apply numerous effects including changing the speed or pitch of a recording. 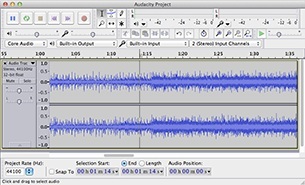 Should you ever have the need to edit sound files, Audacity is an application that you should consider. I have an on-going project to research my family history. A program that I have been using to help document that is Gramps. This is an active Open Source project with multiple releases per year. Gramps is cross platform with versions available for Linux, Windows, OS X and BSD. A dashboard to help you monitor the progress of your research. relationship status and, if applicable, marriage dates. featuring photos and birth/death dates. event types, dates and places. I have been entering my data now for about the past year and find this program comparable to the popular commercial software. The web site includes documentation as well as tutorials. If you are interested in documenting hour family history, this is a low cost, yet highly functional solution.